Thus began a fascinating conversation I had with my seven-year-old daughter a few days ago. I had been going through her book bag and found a picture of Dr. King blazoned above an article about his life. “He wanted everyone to be nice to each other,” she said. I laughed. My first grade scholar isn’t that far off. Before I could reply, her attention shifted to her stuffed Yoshi doll. She began to play. One of the best things about being a parent is getting to see the world anew through the eyes of your children. My little girl offers me this vantage point everyday. Dr. King can’t be a hero. He had no super powers. It’s a simple wish. A simple insight. Do we do that today? Do our schools? As a middle school teacher, I’m well aware how our public schools judge our children, and it’s not by the content of their character. It’s by their standardized test scores. High scores mean you’re learning. Low scores mean you’re not. And if you’re not learning, that’s your teachers fault and we’re going to close your school or turn it into a charter. What’s worse, we’re going to do it because that ensures your civil rights. Ever since rewriting the federal law governing K-12 schools began to be debated in earnest by Congress, the tale was told that high stakes testing is good for minorities. It makes sure schools aren’t neglecting them. And now that the Every Student Succeeds Act (ESSA) has been passed, well-meaning people everywhere are wondering if we’re looking out for our black and brown brothers and sister enough – do we have enough federally mandated high stakes tests? Is there enough accountability? After all, the new law potentially returns much of the power for education policy to the states. What if states don’t give as many tests? How will state legislatures ensure black students aren’t being neglected? Why would schools actually teach black kids if we don’t threaten to close them based on test scores? These would be laughable questions if they weren’t asked in earnest. With such frequency. Even from some civil rights organizations. 1) The ESSA does absolutely nothing to limit standardized testing. When Congress was rewriting federal education policy, parents, educators, students and experts of every stripe asked for a reduction in testing. It didn’t happen. Exactly the same number of tests are required under the ESSA as there were before it was passed – once a year in grades 3-8 and once in high school. 2) Punishing schools doesn’t help kids learn. Once upon a time, it was the government’s job to provide schools with adequate resources to help kids master their lessons. Now it has become the government’s job to raise an arbitrary standard and shutter or privatize schools that fall below that mark. This may come as a surprise, but no school has ever been improved by being closed. Students who are forced to relocate don’t suddenly do better. In fact, they usually do worse academically. Moreover, there is exactly zero evidence that charter schools do better than traditional public schools. In fact, the evidence points in exactly the opposite direction. 3) Standardized tests are poor assessments to judge learning. Standardized testing has never been shown to adequately gauge what students know, especially if the skills being assessed are complex. The only correlation that has been demonstrated consistently is between high test scores and parental wealth. In general, rich kids score well on standardized tests. Poor kids do not. Therefore, it is absurd to demand high stakes standardized testing as a means of ensuring students’ civil rights. Judging kids based on these sorts of assessments is not the utopia of which Dr. King dreamed. We are not judging them by the content of their character. We’re judging them by the contents of their parents bank accounts. There are real things we could be doing to realize racial and economic equality. We could do something about crippling generational poverty that grips more than half of public school students throughout the country. 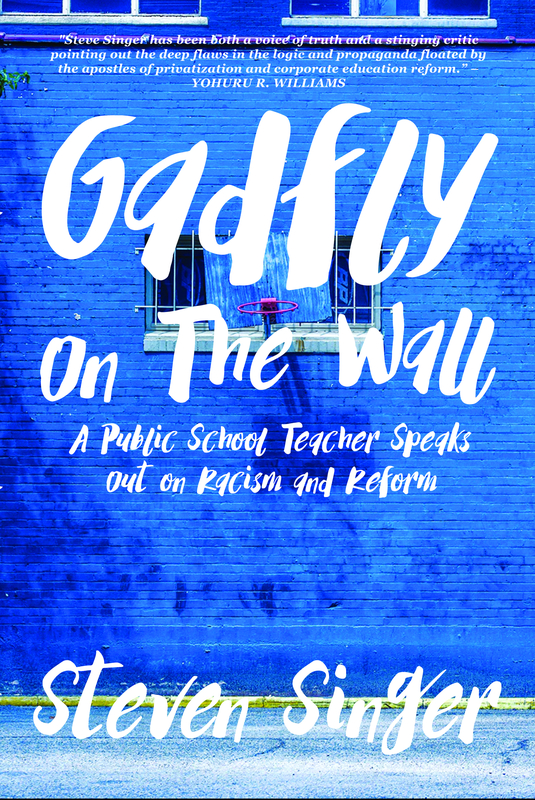 We could be taking steps to stop the worsening segregation of our schools that allows the effects of test-based accountability to disproportionately strike schools serving mostly students of color. We could invest in our neediest children (many of whom are minorities) to provide nutrition, tutoring, counseling, wrap around services, smaller class sizes, and a diverse curriculum including arts and humanities. But we’re not doing any of that. Because we’re too concerned about continuing the policies of test and punish. We’re too concerned about making sure huge corporations continue to profit off creating, grading and providing materials to prepare for annual standardized testing. Dr. King may not have had super powers. But from his vantage point almost 50 years in the past, he saw through the lies of today’s education reform movement. Standardized testing doesn’t protect civil rights. It violates them. Our school policies for the past few decades have been about denying the right to an equitable education to our poor and minority students. Though the ESSA holds promise to limit federal meddling, it does nothing to change that. And all these people who cry foul at a potential loss of federal power are either ignorant or crying crocodile tears. It’s no wonder that hundreds of civil rights organizations oppose high stakes testing. Nor is it surprising that the media rarely reports it. And it shouldn’t be a shock to learn that the overwhelming majority of civil rights organizations who have suddenly began championing testing are those who get big donations from the philanthro-capitalists pushing this agenda. High stakes testing is a racist and classist policy. Period. NOTE: This article was given a shout out on Diane Ravitch’s blog and published in the Badass Teachers blog. Well said. I’m sharing on my fb page. I teach in a high-poverty school (100% Free/Reduced lunch), and have watched NCLB and RTTT pound our kids over the head like a sledgehammer. I stay because somebody’s got to put ice on the bruises from said hammer, give the kids a warm hug, and help them believe that they are worthy no matter what those scores are. May your words reach many, and change a few hearts. I have always thought the high stakes testing we do in England were anti-educational and were only used as a means of collecting spurious and false data in order to a) support a political right-wing dogma, b) to point a finger at schools to demonstrate their ‘failures’ and to further deepen the class divides already prevalent. What worries me more is how schools are forced to buy into it all lest they become academies, which is the equivalent of the US charter schools. Thank you so much for this well-written article. I loved the line “Once upon a time…” I wholeheartedly agree that poverty/low socioeconomic status is the main barrier to success in school, and no amount of standardized testing addresses that issue. Getting paid to tutor the poor child after school in my class sure would be nice, though. Your article made my day. Thank you. A middle school teacher reflects on high stakes testing as a supposed “civil rights” issue. Worth reading. I agree with your argument about testing and its inherit biased for the wealthy and against the poor. The solution is many and deep. My perspective takes a longer term approach that would also be a long term solution. This article explains it in editorial form. I would appreciate you—and any others—reading it and responding.